3. Location: Cluj-Napoca Municipality, 14 Breaza Street, Cluj Co. The house with an irregular ground plan on two levels (ground floor and a mansard) was built in Breaza Street, considered to be the suburb-area of Cluj-Napoca at the time of construction. 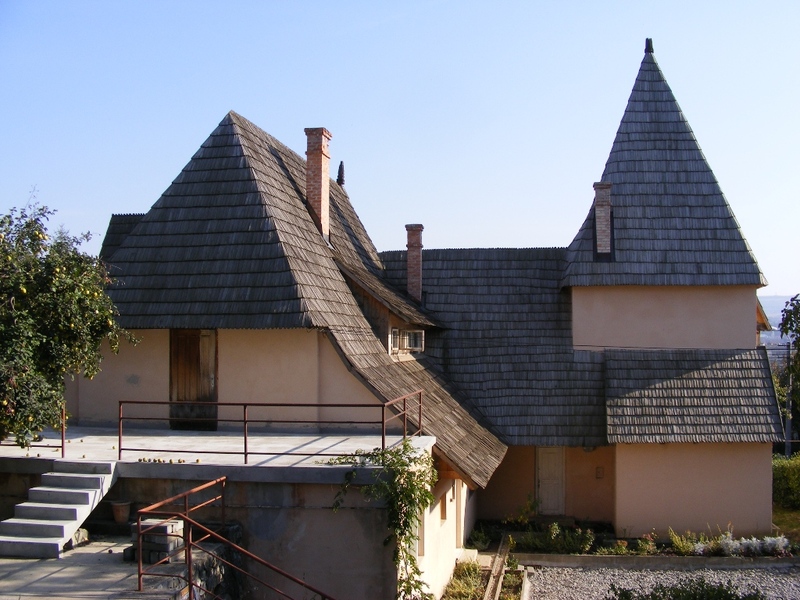 It consists of seven sub-divisions of different dimensions characterised by specifically-shaped roofs, which originally had shingle covering. 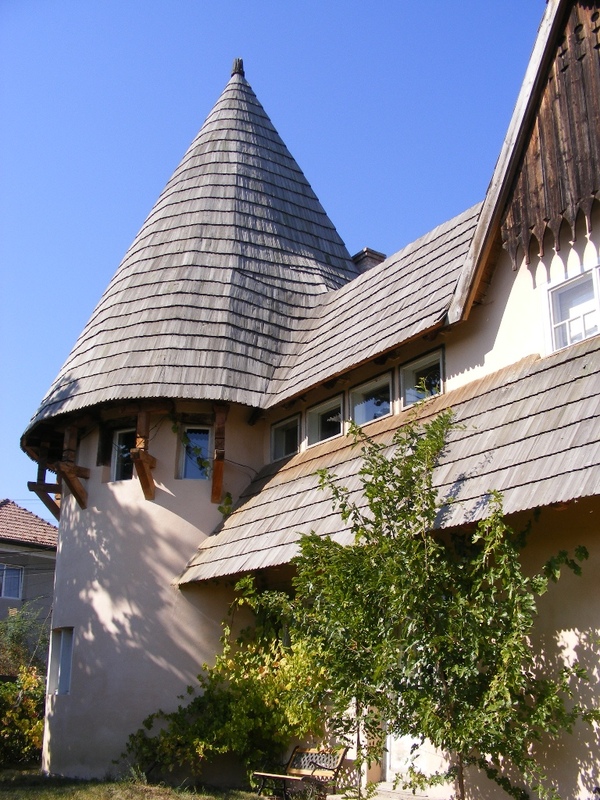 Károly KÓS remembers in his autobiography: “Our family house from Breaza was my first design, which was completed in two years, in 1910. Both the design and the implementation had been solid, fact that was proven in 1944, when a bomb from an American aircraft exploded in front of the house. Although it swept away the shingle, it stripped down the elevation, it smashed all doors and windows and twisted the tower wall a little bit, neither the walls, nor the roof structure suffered irreparable damage. The plastering was unaesthetically stripped down, and several interior modifications were carried out due to other causes, but still it stands even today”. The two families that used the property until 1997 modified the building. The original stairs were replaced with a concrete staircase having an opposite direction and separate kitchens and bathrooms were built on both levels. 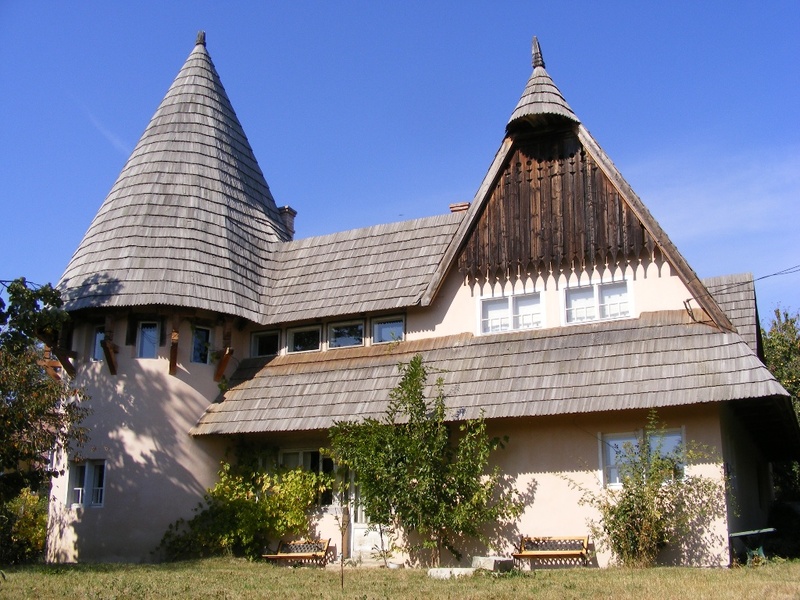 Later the house became the property of the Hungarian Cultural Society of Transylvania and the Kelemen Lajos Association for Monument Protection. b) Connection to the street sewage, property at no. 14 Breaza St. The building had been neglected and was in a ruinous state in 2000, when the Transylvania Trust Foundation rented it and started to use it. A survey of the building and a structural assessment were carried out shortly after, but conservation works started only in 2004 due to lack of funds. The following measures have been taken since: strengthening the foundation and the roof structure, covering the whole roof with shingle, rendering and painting the elevations, replacing window frames, landscaping the grounds. 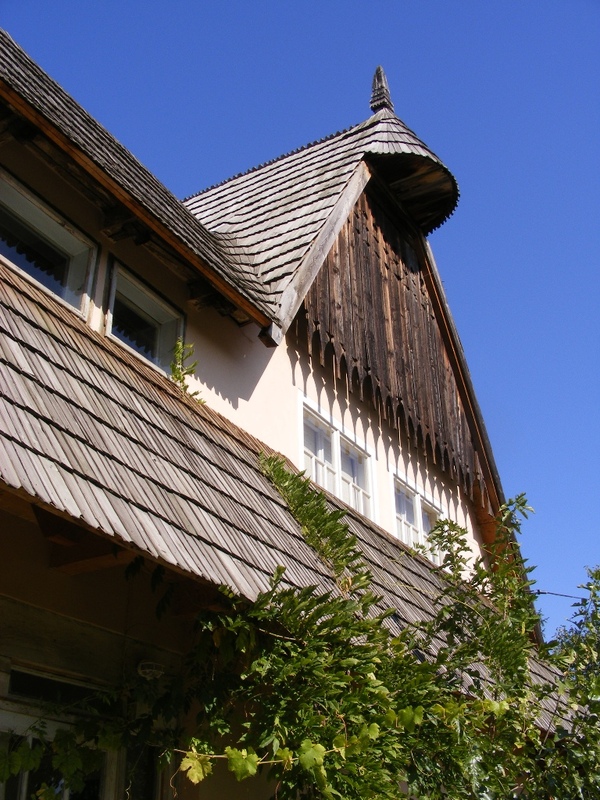 These measures were performed not only to ensure the security of the building and to amend its thermal insulation, but also to restore the building's original appearance.